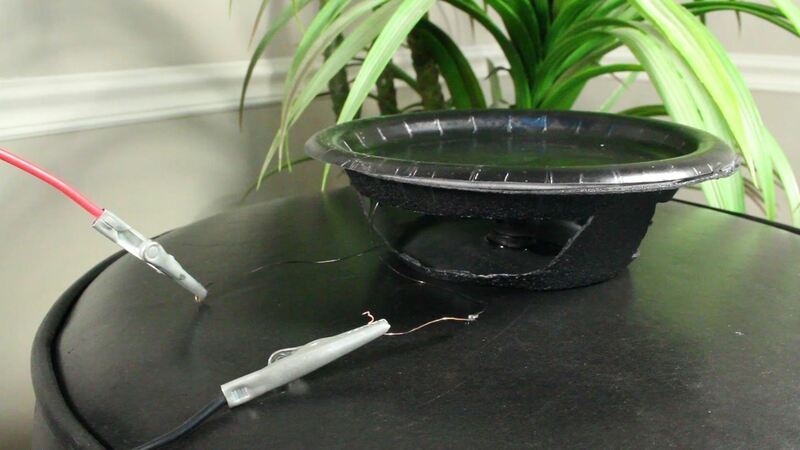 Back in 2007, YouTube user HouseholdHacker posted a parody video on how to make a high-def speaker for under a buck. 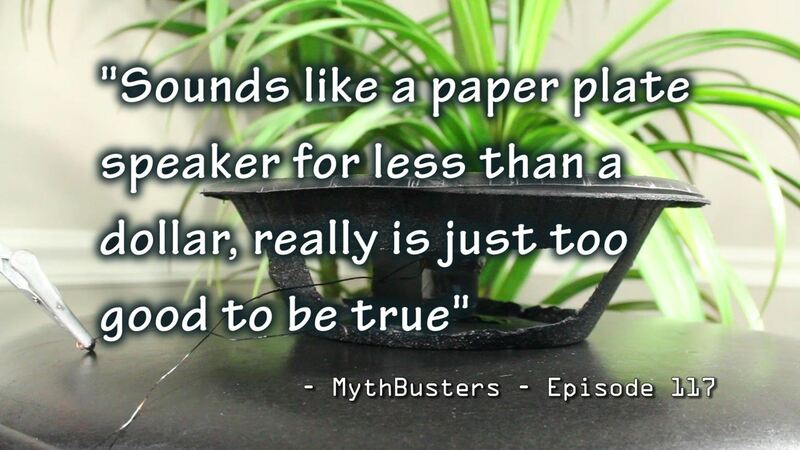 MythBusters took on the challenge and busted it. 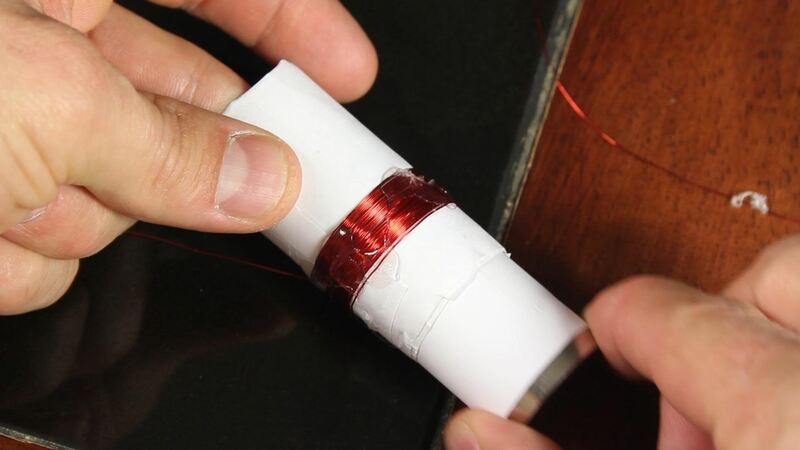 Although that particular method doesn't seem to work, that doesn't mean you can't make your own speaker for less than $1.00. You can—and it's really easy! Watch the video below to see how! To understand how a speaker works, I took one apart. 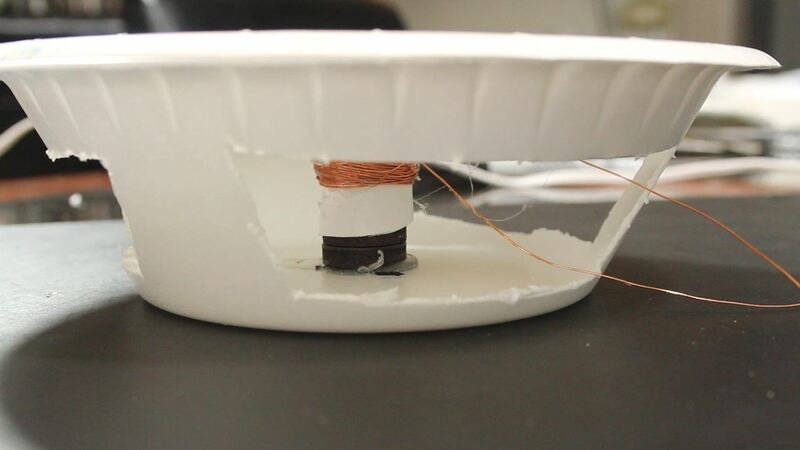 In it's simplest form, a speaker is just a coil of wire glued to a piece of paper, and placed near a permanent magnet. When alternating current flows through the coiled wire, it is either attracted, or repelled by the permanent magnet. The audio signal from your stereo is a form of alternating current. 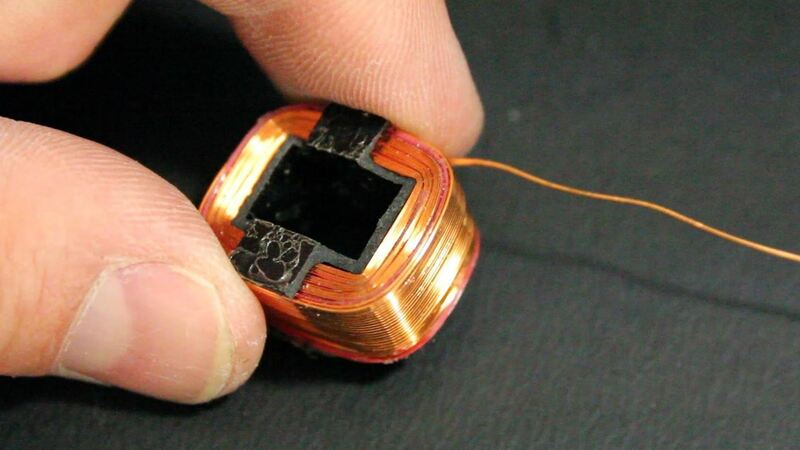 When attached to a coil of wire and set near a stable magnetic field, the variations in polarity and amplitude will make it vibrate thousands upon thousands of times per second. If this coiled wire is attached to a diaphragm, the vibrations will push a larger volume of air and generate sound waves that we can hear. 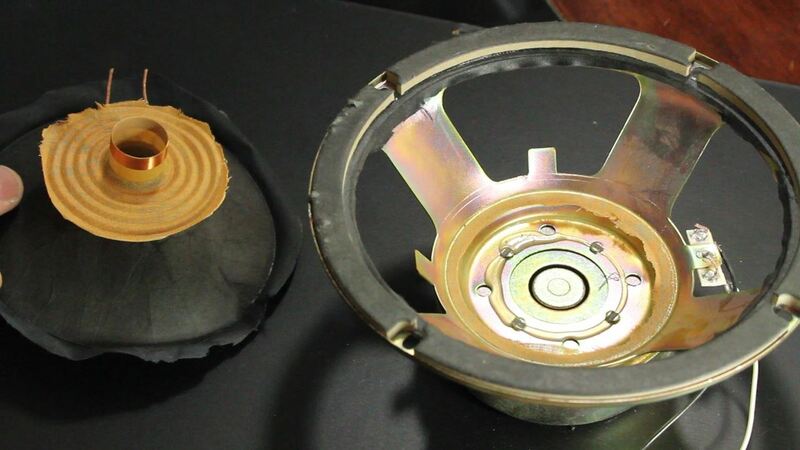 In the pictures above, you can see a paper speaker cone, the yellow spider (which holds the voice coil in place over the magnet), the voice coil with wrappings of magnet wire around it, and a strong permanent magnet at the bottom of the assembly. 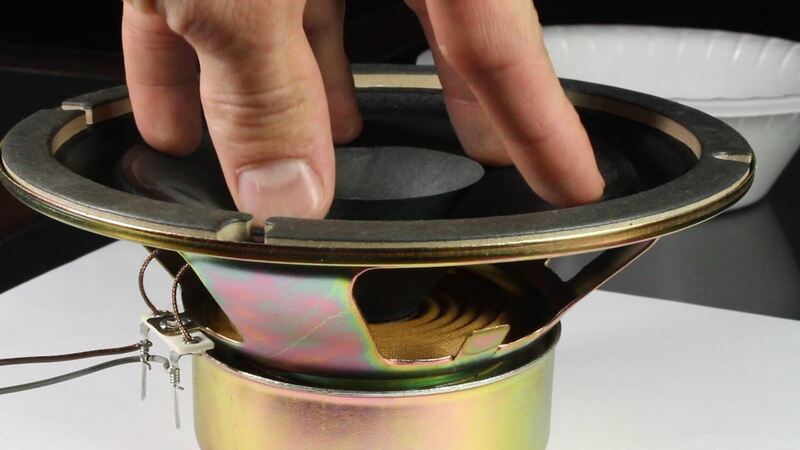 The two ends of the voice coil wire are what connect to your stereo system. That's all there is to it! Now let's see if we can make one! 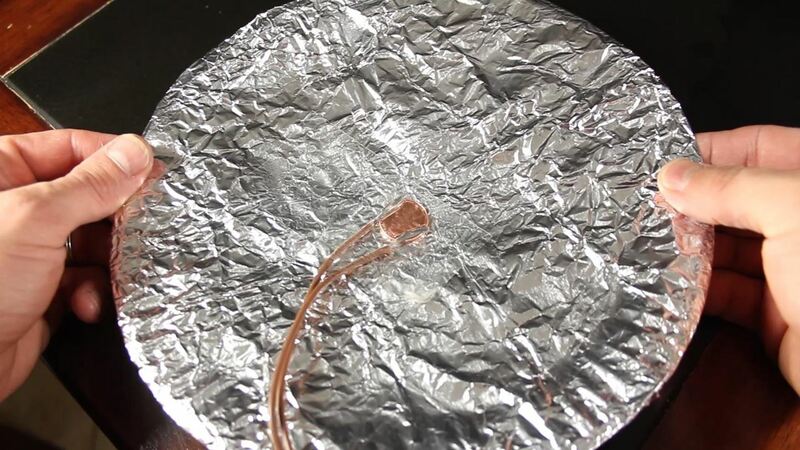 Magnet wire is thin enameled copper wire and can be salvaged from many electronic devices for free, or bought at places like RadioShack. You're also going to need a hot glue gun and some scissors, which you probably already have. None of these materials are sold individually because they only come in packs, but if the pieces are pro-rated, the cost is around $0.80 per speaker! I found some magnet wire inside an old TV. 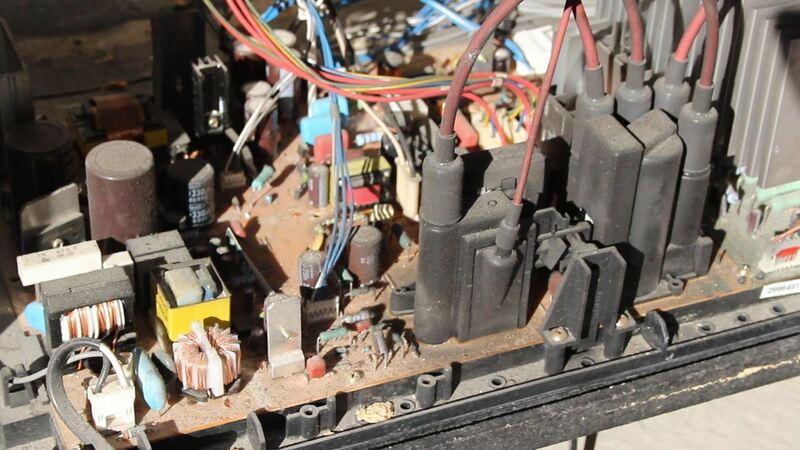 Many of the small transformers on the circuit board were loaded with the perfect wire for this. WARNING: Do not try hacking your TV at home. The capacitors may hold a charge and pose a risk of electric shock. This project should not be attempted without adult supervision and adequate training. This $0.80 speaker will definitely work! You get what you pay for, but it does work! Stack about 5-6 button magnets to form a 1-2" cylinder. 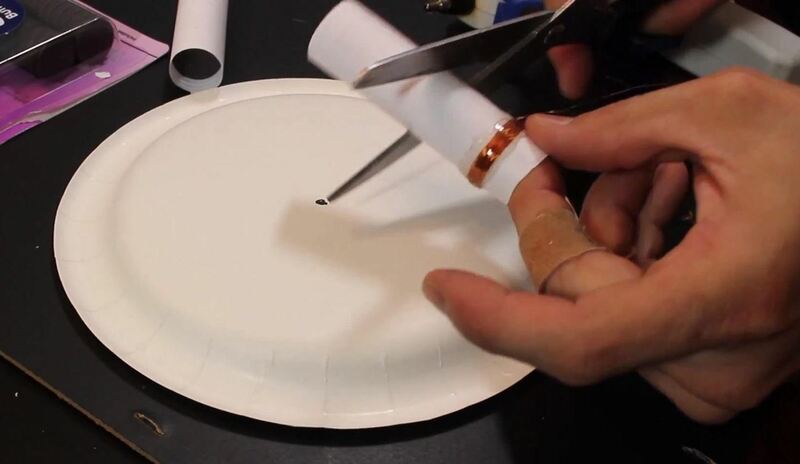 Cut a strip of paper and roll it around the stack of magnets, then tape it to itself. 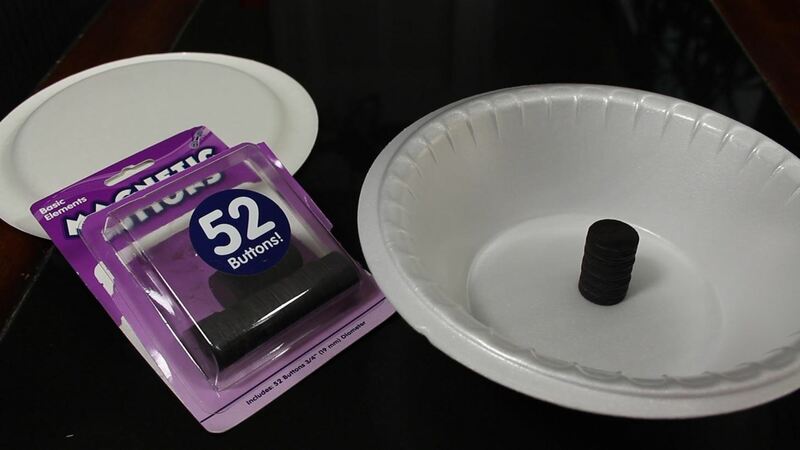 Then, cut a second strip of paper and roll it over the first, then tape it to itself. Note: The two pieces of paper should not be connected to each other. Instead, they should be able to slide apart freely. 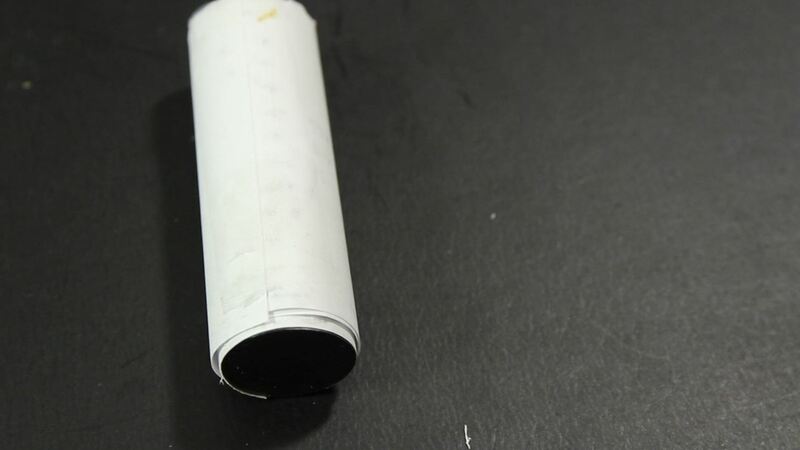 The inner paper is going to serve as a spacer, because when it's removed, it will create a slight gap between the top tube and the magnets. Wrap about 50 turns of wire around the tube. It doesn't have to be super tight, but should be firm. 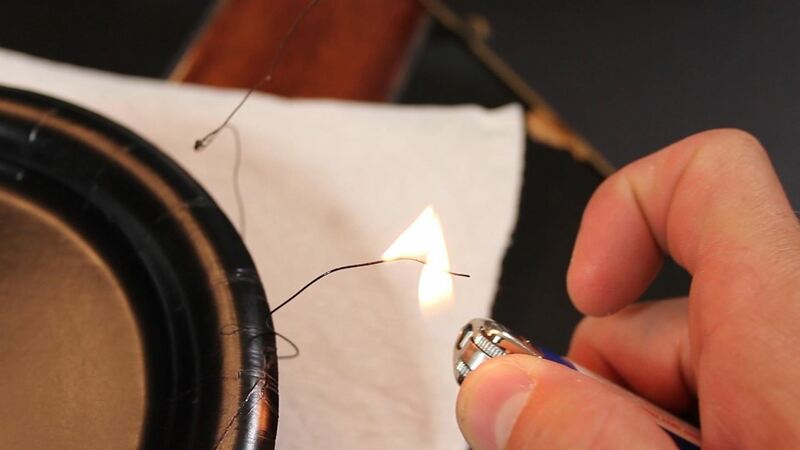 Then secure the wire coil in place with some hot glue. 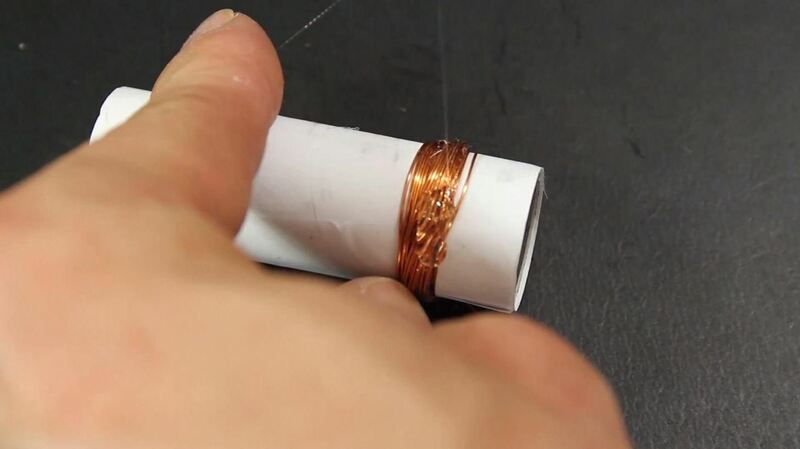 Pull the stack of magnets and inner coil of paper out of the tube, and you should now have a hollow tube with a winding of wire around it. 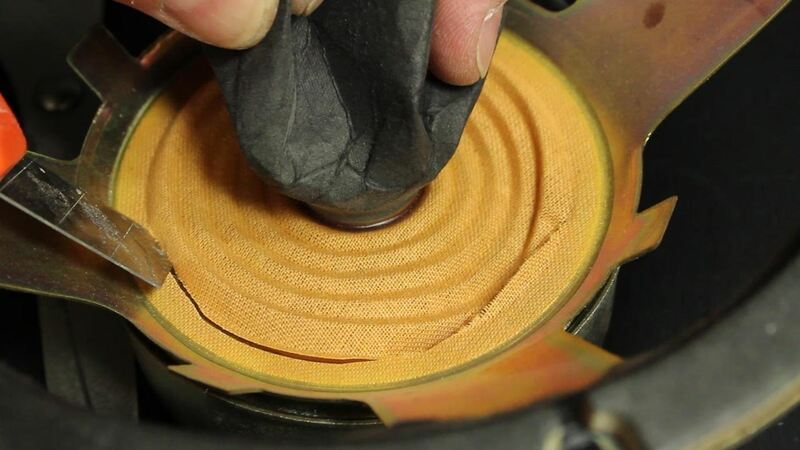 This is your "voice coil". 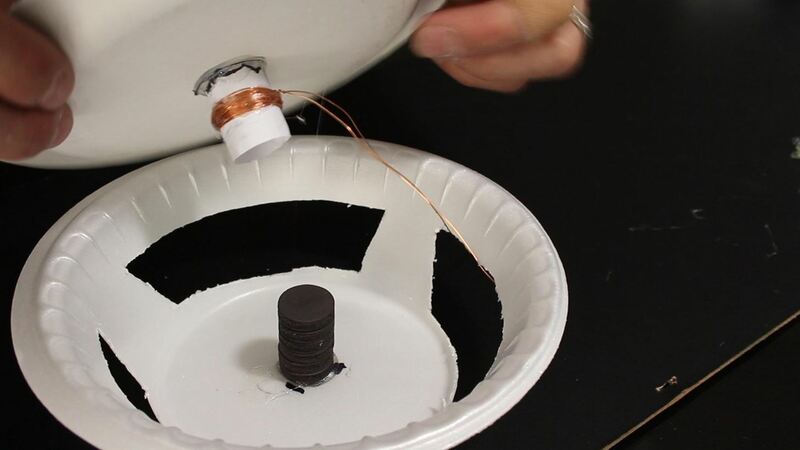 Cut the voice coil to a length that will slide over the magnet stack. 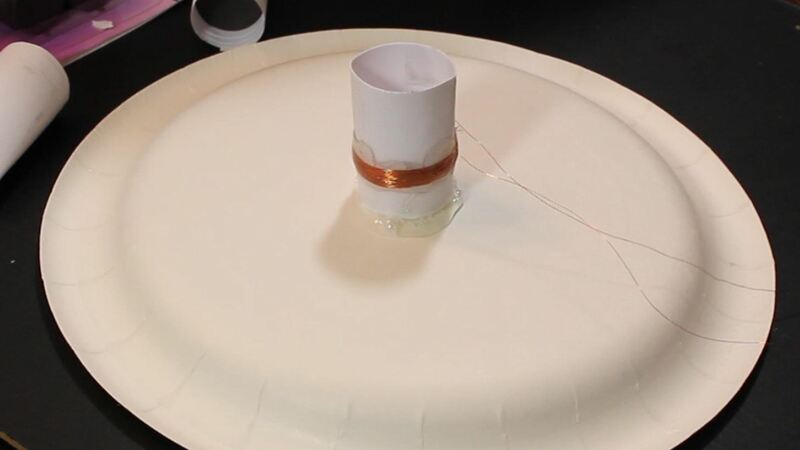 Glue the voice coil to the bottom side of a paper plate. 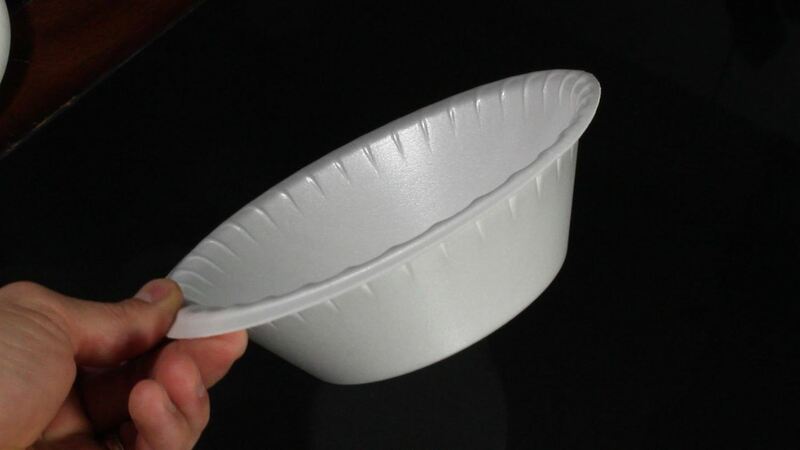 While you're waiting for the glue to dry, start cutting out the shape of your speaker in the bowl. Then glue the magnets in place. 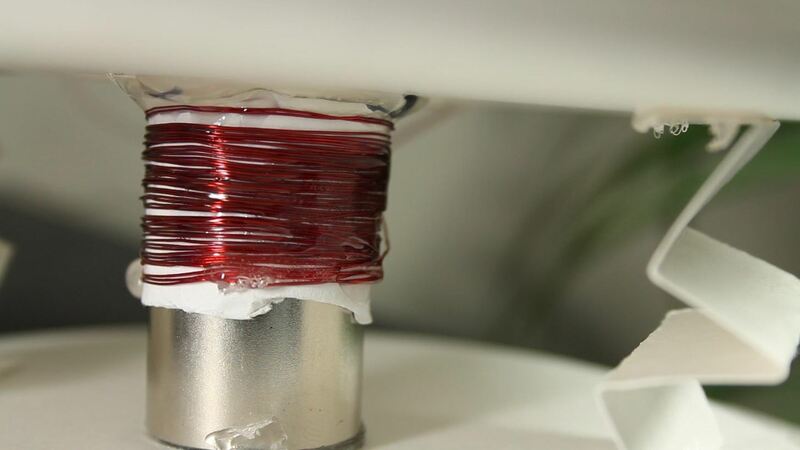 When the top portion is dried, hover the wire coil near the top of the magnets. 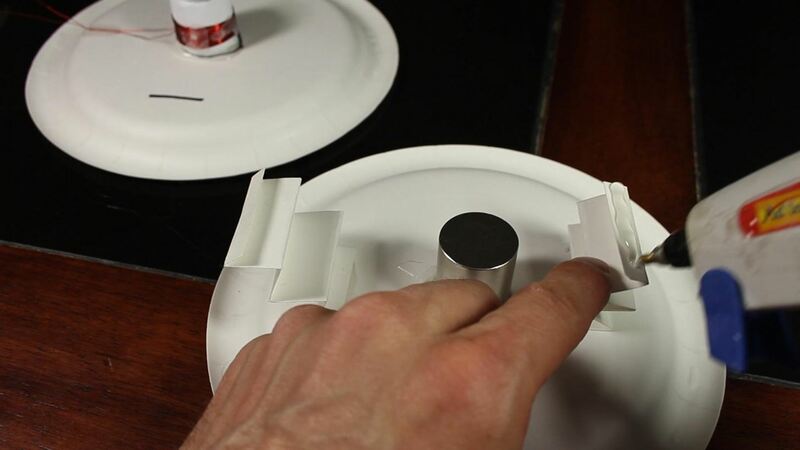 Fit the paper plate with the voice coil over top the magnets, and glue the plate in place. I chose to paint the speaker black in an attempt to make it look a little better. 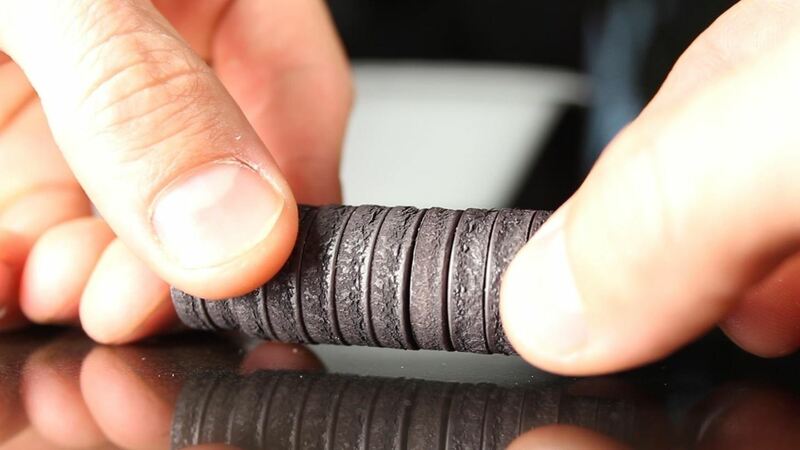 Remove the coating from the tips of the wires. 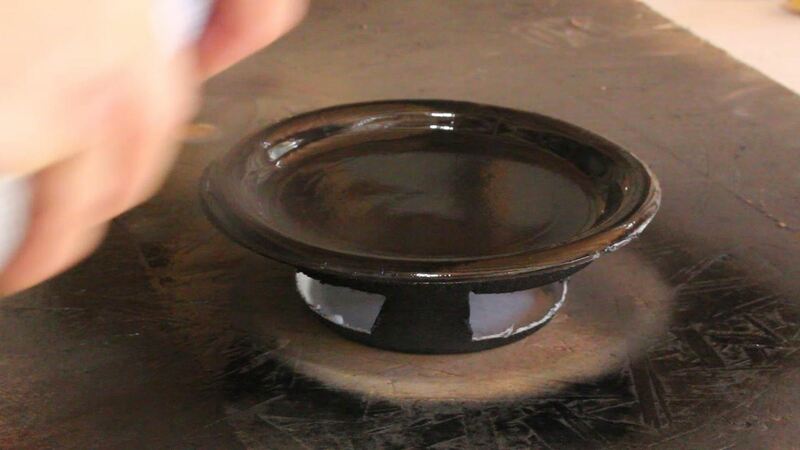 You can use sandpaper or an open flame to burn off the enamel. Step 7: Hook Up and Play! Hook your speaker up to a stereo with a built in amplifier and press play. 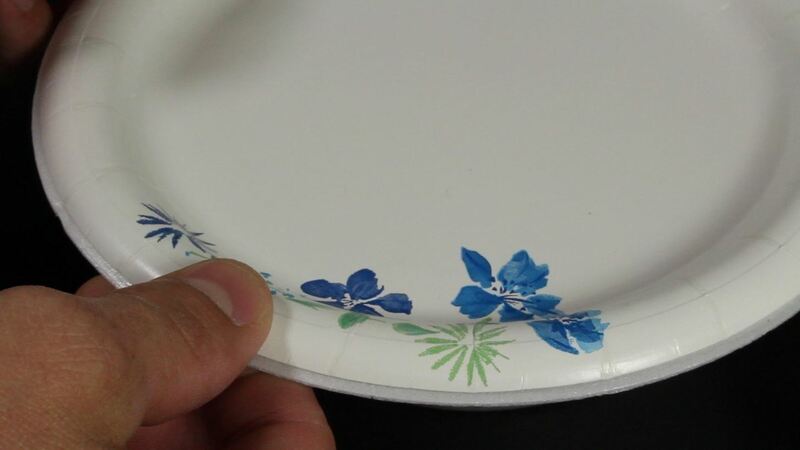 You should hear your music playing out of your paper plate! It's not going to be very loud because any magnet you can get for this cheap is going to be very poor quality. But it does work and it's a fun project! If you don't hear anything, double check your connections. 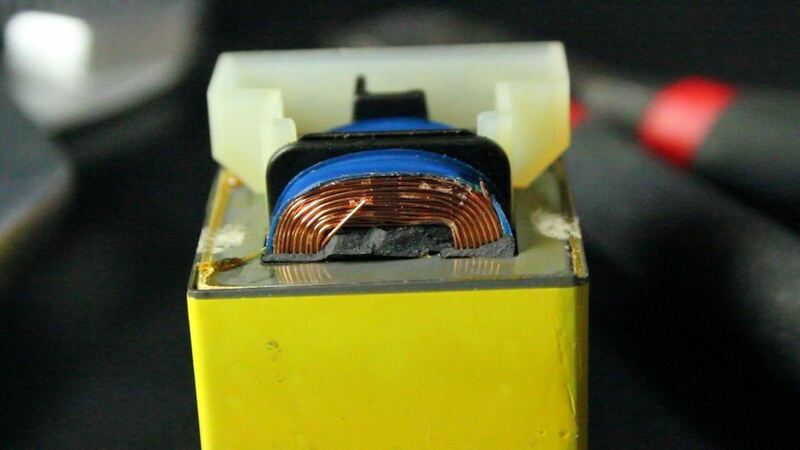 The two wires from the voice coil should connect to the positive and negative terminals of one channel of your system. It doesn't really matter which wire goes where as both will work. Your stereo will also need to have a built-in audio amplifier to push a higher wattage to the plate. If you're trying to run this from your iPhone or MP3 player, you might hear a faint noise, but your results will be much better if you first amplify the power output. If you still don't hear anything, either your wire is damaged (shorting out or broken), you don't have a good connection with your wires to your audio source, or your magnets aren't strong enough. The strength of your magnet plays a huge part on the strength of the sound. I made another speaker using a Neodymium magnet. 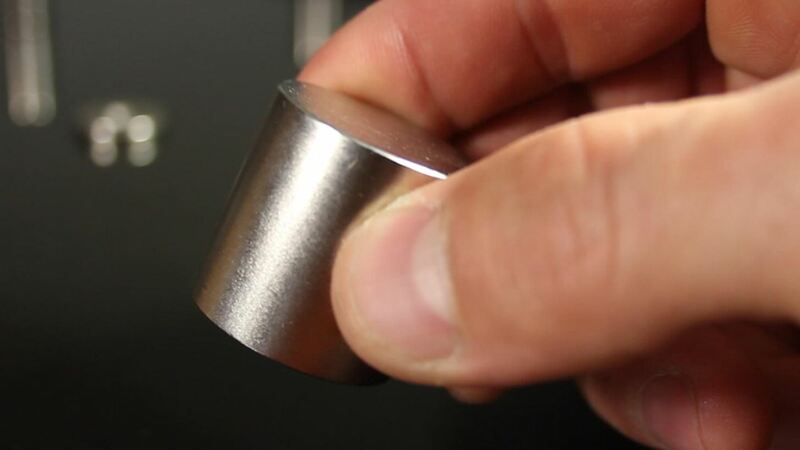 These are among the worlds strongest magnets. 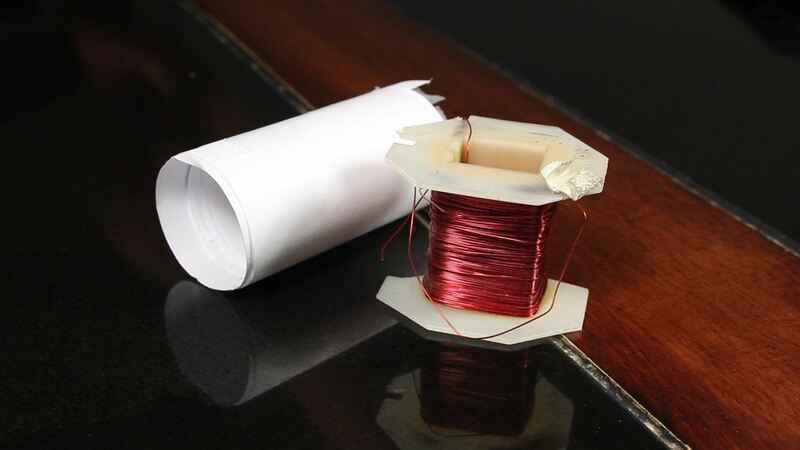 The voice coil is made the same way, wrapping paper and wire around the magnet, then removing the voice coil shell and cutting it to size. I used scrap wire I found on an old sump pump motor for this one. 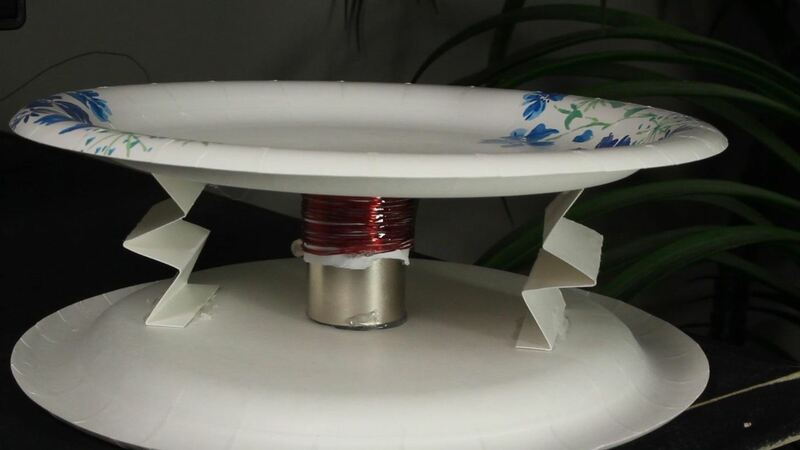 This time, instead of using a foam bowl for the speaker basket, I just glued the magnet to another paper plate for a base, and made some accordion style supports to hold the coil over the magnet. When the leads were connected and the music turned up, I was amazed at the results! It was rocking out! 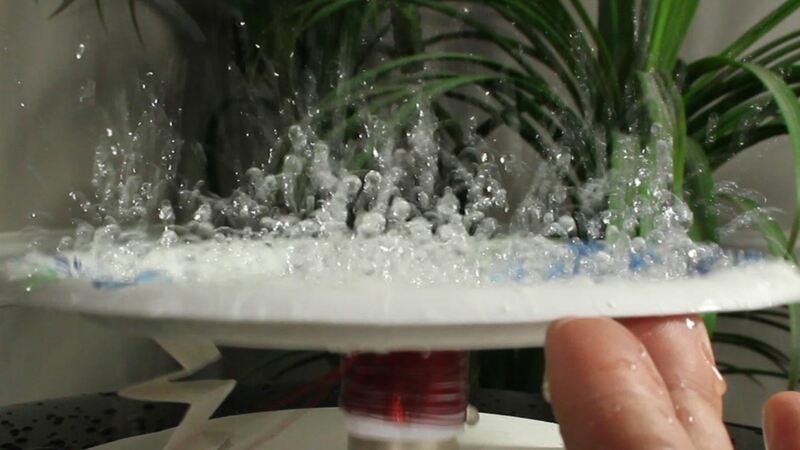 Pouring water into the plate shows just how powerful the vibrations are with the stronger magnetic field. It also makes quite a mess. 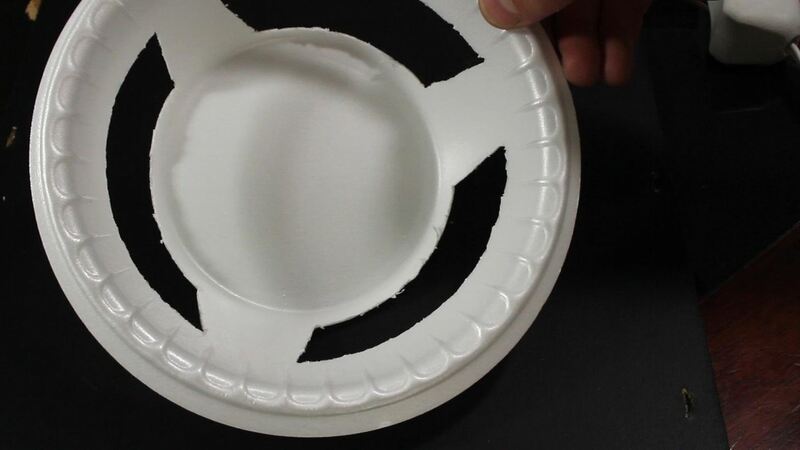 Well, there are two ways to make your own paper plate speaker! If you haven't watched the video yet, check it out here! If you like this project, perhaps you'll like some of my others. Check them out at thekingofrandom.com or here on WonderHowTo. Very cool. 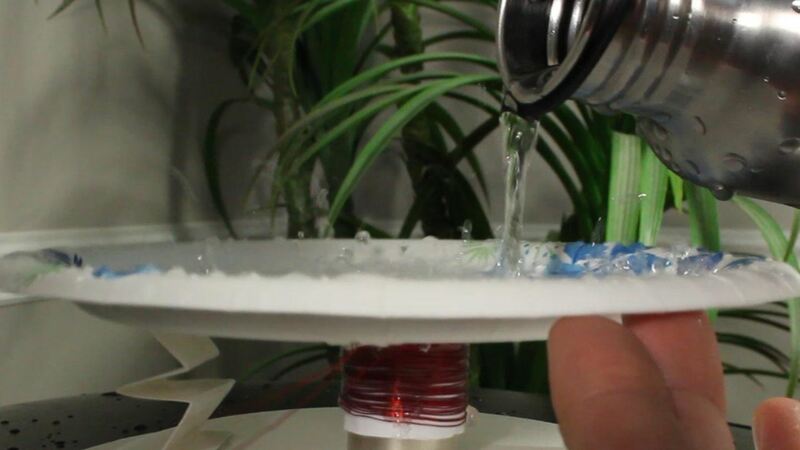 It's amazing how useful parts from old TVs can be! You'd have to splice it into an audio jack, and also run the signal through an amplifier. Your iPhone won't have enough juice to drive a speaker that big on its own. Awesome! The build is great + it actually works! Pretty small. The one he used looks to be a little over an inch tall with a diameter size between a nickel and a quarter. That said... if you find one a little bigger, or smaller, it'll still work. Might even be a little louder. Just make sure your coil fits snugly around it. I'm sure it'll work. Even the small ones are super strong! Very informative! The variations of the two designs help consideration of other options. My magnets are not as thick, but stacking 2 to 5 of them will give something to explore. Thank you for providing a great project for kids and parents to complete together. where to get that wire? Can you connect this to a laptop by creating a usb plug that will connect to the tips of the speaker.